BANDUNG DAY SYMPOSIUM is organised annually every the 24th of April as a commemoration of the declaration of the FINAL COMMUNIQUE of the Bandung Asian-African Conference on April 24, 1955. The symposium was initiated and organised by Council for Social Development, New Delhi, India. 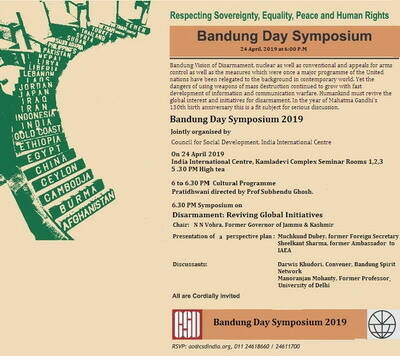 This year 2019, the Bandung Day Symposium takes place at India International Centre, New Delhi, with the theme of DISARMAMENT : REVIVING GLOBAL INITIATIVES. See the poster below. 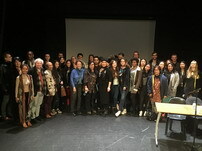 This series of conferences provides a platform for physical meeting, sharing, exchanges, studies, discussion, networkng and publication on diverse issues in contemporary world through a phenomenon widely recognised : THE RISE OF ASIA. 150 years of Gandhi : will it bring peace, justice and non-violence to the world ? 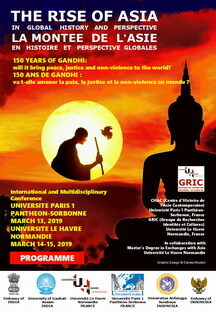 150 ans de Gandhi : va t-elle amener la paix, la justice et la non-violence au monde ? A human being of four is Asian woman. It is therefore essential to consider women’s issues starting from Asia. What lesson we may learn from the men-women inequality in that region, what problems are appearing with intensity ? Are we in a progressive period of women’s status or in the contrary ? In Asia, all women do not live in the same space and time. What is in common between a Chinese businesswoman, a Japanese housewife, an Indian woman farmer, an Indonesian woman minister and a Vietnamese woman worker ? Those are among the questions to be discussed. 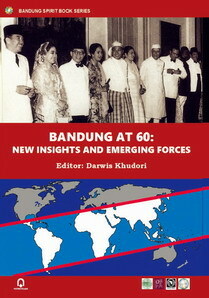 Updated edition of BANDUNG AT 60 completed with Preface, New Introduction, Bandung+60 Declaration, Excerpts from the 1955, 2005 and 2015 Bandung Conference Declarations. 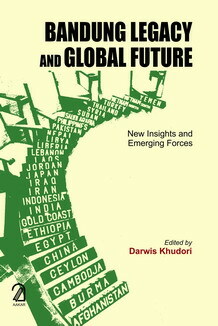 Published by AAKAR BOOKS Delhi, India. Around 50 papers from diverse parts of the world (Austria, Belgium, Brazil, Burkina Faso, Ethiopia, France, Ghana, Hong Kong, Hungary, India, Indonesia, Japan, Malaysia, Morocco, Nepal, Palestine, Philippines, Russia, Taiwan. 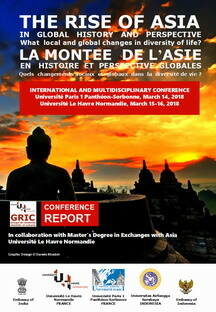 Turkey, UK, USA, Vietnam...) were presented and discussed in the first edition of the conference that took place in Paris and Le Havre on March 22-24, 2017, covering a wide range of issues : The Rise of Asia seen from inside and outside Asia ; The Rise of Asia in Global History ; The Rise of Asia and New World Order ; The Rise of Asia : impacts, risks and opportunities for Africa, Latin America, Arab World, Europe ; The Rise of Asia in the fields of architecture, business, culture, ecology, economy, gender, international relations, religion, urban development. The Conference Report presents the feature of the conference. International and Multidisciplinary Conference of a commemoration of the 60th anniversary of the 1955 Bandung Asian-African Conference organised by Bandung+60 Organisation. 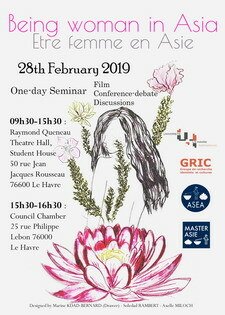 Le Réseau Bandung Spirit participe du 23 au 25 août 2018 à l’Université d’hivernage organisée par le Comité international Joseph Ki-Zerbo pour l’Afrique et la Diaspora (CIJKAD) à Ouagadougou, Burkina Faso, sur le thème "Connaître le passé pour oser inventer l’avenir". Lazare Ki-Zerbo , organisateur, et Darwis Khudori, invité, seront présents. Quatre panels sont prévus au programme sur: "Kwame Nkrumah, Joseph Ki-Zerbo et Thomas Sankara: trois perspectives sur le panafricanisme"; "Etats-Unis d’Afrique: utopie ou réalité? "; "Mémoire des mouvements de libération: le MLN (Mouvement de Libération nationale"; "Panafricanisme: bilan et défis futurs". Cette manifestation réunira une centaine de représentants de la société civile, des partis politiques, des medias et du monde de la recherche. Elle coïncide avec le soixantième anniversaire du Manifeste du Mouvement de libération nationale (MLN). A source of fundamental references of our Bandung Spirit-based Academic, Social and Solidarity Movements, SAMIR AMIN, has just left us "physically" on August 12, 2018 - "physically" because his numerous works continue to guide us "intellectually" in our movements. He was involved in our movements since the setting-up of Bandung Spirit Network in 2005. See my article "Towards a Bandung spirit-based civil society movement: reflection from Yogyakarta commemoration of Bandung Asian-African Conference" (Inter-Asia Cultural Studies, Volume 7, Number 1, 2006). He gave an outstanding contribution to our conference "BANDUNG 60 YEARS ON: WHAT ASSESSMENT?" (The University Paris 1 Panthéon-Sorbonne, June 27, 2014). His article "From Bandung (1955) to 2015 ; Old and new challenges for the States, the Nations and the Peoples of Asia, Africa and Latin America" helped us in framing our commemorative conference "BUILDING SOVEREIGNTY, PREVENTING HEGEMONY: The Challenges for Emerging Forces in the Globalised World" (Jakarta-Bandung-Jakarta, October 27-31, 2015). Here are some tributes written by two members of Bandung+60 Scientific Board, Ama Biney and Ebrima Sall (Darwis Khudori, Paris, August 17, 2018). Selected matters of the events organised in the framework of Bandung Spirit Network are published in the forms of printed book (for the proceedings or selected papers of conferences, seminars or workshops) and DVD (for the proceedings of arts and cultural workshops and festivals) under the label of respectively BANDUNG SPIRIT BOOK SERIES and BANDUNG SPIRIT AUDIOVISUAL SERIES. The last four books published with the label of BANDUNG SPIRIT BOOK SERIES are the followings.